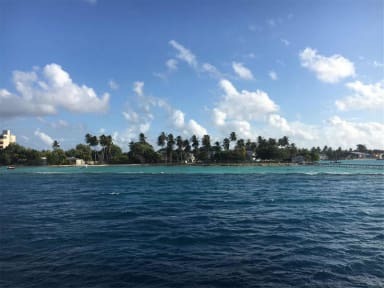 Thulusdhoo is a beautiful and peaceful island located in North Male' Atoll, Maldies, only 30 minutes speedboat ride from Velana Nasir International Airport, Maldives. 'Coke & Chicken' Surfers's spots are ample to describe the island of Thulusdhoo - treasured among the ocean lovers across the globe. Midsummer Thulusdhoo is a comfortable and very traditional Maldivian style house. We have a private courtyard, you can relax here with quiet environment and good privacy. We are in the middle of the island and from house to either jetty or beach is just two mins by walk. We have four rooms all together. It's very ideal for families and friends to stay in the house as well as solo travellers looking for a homy stay.